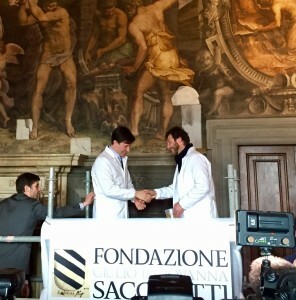 A restoration of the Sala degli Elementi in Palazzo Vecchio was announced today by Mayor Dario Nardella. The restoration is made possible by the generous funding from the Giulio and Giovanna Sacchetti Foundation, and will begin immediately. The €475,000 restoration is projected to span about 500 days, and will begin with recovering frescoes on the walls and ceiling. This type of paint is most easily exposed to the weight of time and foundational changes, which is why the revival process will begin here. The process will not prevent visitor access to the room– on the contrary, guided tours will continue to pass through the restoring room to get a firsthand experience of the progress in redeveloping the room. The restoration itself will be divided into 3 phases to ensure the maintenance of public accessibility during this time. 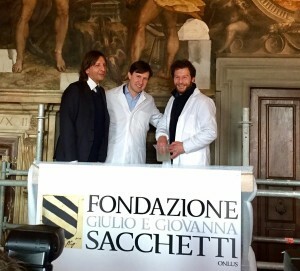 Since 2013, the Sacchetti Foundation has prided itself in its ongoing support of art projects and historic artistry, as well as being part of maintaining tradition and keeping art afloat for the years to come. Their latest interest has become that of maintaining the history, culture and artistry exemplified in one of the city’s greatest artifacts, the Palazzo Vecchio. According to Mayor Dario Nardella, the restoration will bring a well rounded economic benefit to the museum area of the city, increase tourist interest and restore intrigue in this captivating palace. He sees a high level of importance in continuously renewing what this historic staple has to offer, which could not be done without the help of those equally interested in keeping the spirit of Florence’s architecture alive.